The 2.5” full roller by Mallard is a durable pallet flow product, offering even greater surface coverage and galvanized rollers and rails. 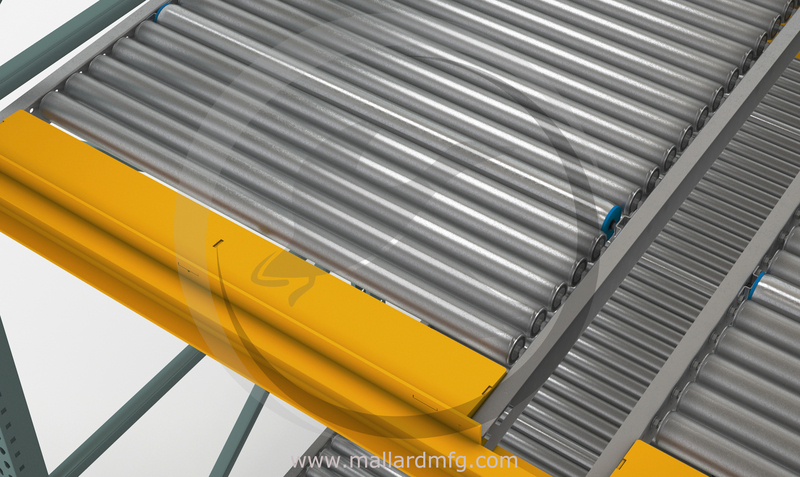 Introducing the new Mallard 2.5" full roller pallet flow. 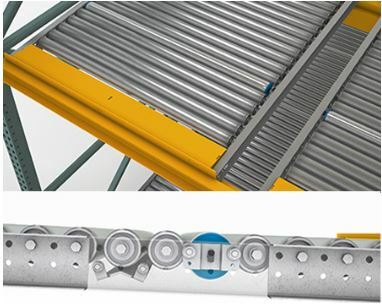 The Mallard 2.5” full roller is as durable as their other pallet flow products while offering even greater surface coverage plus galvanized rollers and rails. It is a perfect solution for non-standard pallets, i.e. plastic pallets, large bins, extra-long pallets, drums, etc. The out-to-out surface coverage keeps non-standard pallets moving in a steady, controlled and consistent manner. Additionally, the 2.5” roller can be equipped with optional “matching” 2.5” drum speed controllers. The low-profile speed controllers are mounted within the lane between the rollers (as opposed to underneath or dropped-in) to provide more braking coverage and seamless transitions. For more information regarding Mallard's 2.5" full roller pallet flow and the benefits it may have for your company's operation, talk to your CHC Sales Engineer.